Shauna Potocky, a Park Ranger at Yosemite National Park was recently awarded the Pacific West Region 2012 Freeman Tilden Award for her work in creating the Gateway Expressions Student Art and Poetry Contest. This new program, is one of several youth programs being offered in direct partnership with NPS. Each year the Freeman Tilden Award recognizes a National Park Service (NPS) ranger for developing, revitalizing or delivering a particularly effective and creative interpretive or education program. The Gateway Expressions Student Art and Poetry Contest not only provides a program for youth from the local gateway communities surrounding the park to develop and express their own personal connections to the park, but also strengthens the partnership between the many park partners that were involved in the program. She will represent the Pacific West Region of the NPS in the National Freeman Tilden Award competition. The overall winner will be announced during the National Association of Interpretation Conference to be held in mid-November in Hampton, Virginia. “Gateway Expressions gives people an opportunity to see the remarkable nature of Yosemite through the eyes of today’s youth. We see what they value, what they connect to and how important it is to them. It is the perfect reminder for us to continue to work towards protecting nature in Yosemite and in the communities we call home,” Potocky remarked. Looking for some activities so that your children will have fun engaging with and exploring Yosemite? You might be interested in some of the kid-friendly Yosemite programs listed on our website, like Wee Wild Ones, Junior Ranger Programs, or Storytime. 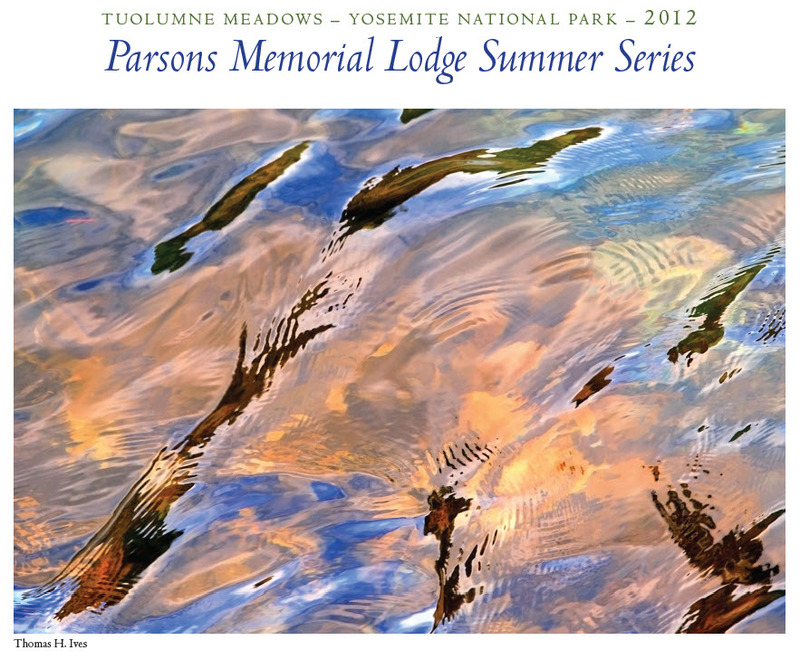 Stroll through a beautiful alpine meadow in Tuolumne to a National Historic Landmark building – a one-story stone building built in 1915 – for the Parsons Memorial Lodge Summer Series. Each summer the Parsons Memorial Lodge hosts fascinating speakers in one of the most beautiful natural settings in Tuolumne. Topics range from climbing, and natural history to music and poetry, including a popular Poetry Festival. This year’s summer series begins this weekend, July 14, with a slide presentation by Daniel Arnold called “Early Days in the Range of Light: Encounters with Legendary Mountaineers” at 7:30pm, but typically meets at 2:00pm and lasts 1-2 hours. All programs are free. Allow about 30 minutes walking time from either the Lembert Dome parking or the Tuolumne Meadows Visitor Center. If you know what to look for, a couple of boulders on a conspicuous little hill can tell you the stories of glaciers, and the creation of Yosemite Valley. If you know what to listen for, a bird’s song can alert you to what is going on in the forest around you, and tune you in to the tempo of the seasons. If you’re looking for an experience that gives you the opportunity to learn about Yosemite from an insider’s perspective, sign up for a Lodging and Learning Package. 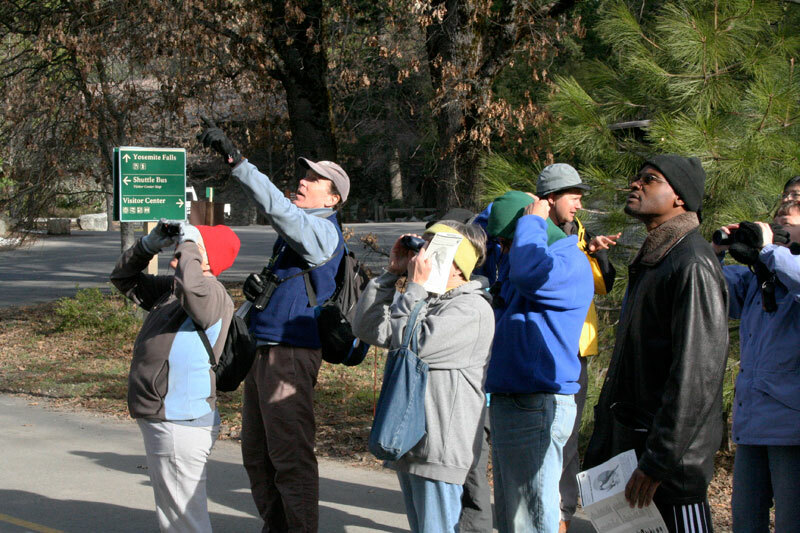 This new package, introduced by DNC and Yosemite Conservancy in February, allows visitors to experience a day and a half with a Yosemite Conservancy naturalist, and includes accommodations for two nights at The Ahwahnee, Yosemite Lodge or Curry Village and a group picnic lunch. Ramble through scenic Yosemite Valley locations and learn how this spectacular valley was formed, about the people that have lived here in the past like Native Americans or the environmentalist, John Muir. Get to know the trees, plants and animals of the park, and why fire is good. Your guide in these explorations is a Yosemite Conservancy naturalist like Pete Devine with years of experience in the area. Although the program is new for Yosemite, we’re already starting to hear rave reviews. Our recent guest, Heidi G. had wonderful things to say about the program she experienced in February. “Lodging and Learning” is a three-day, two-night package available March 18, April 8, 15 and 29 and May 13 so far. Because the program has been so well-received, we’re looking forward to announcing even more dates soon. Visit the Lodging and Learning page on our website for more details and to sign up.